Hotelier Ann Sweeney will once again contest the general election in Donegal South-West as an independent candidate. She withdrew from the constituency's November 2010 by-election just days before the polls, stating that the election was a farce at a time when Ireland was in need of a national government. 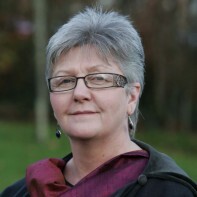 Sweeney is the founder of the New Island Party which she describes as "a collective of free thinkers that come together for the greater good".